A place situated near the international airport with wide and spacious rooms. Hotel Airside is a beautiful hotel with a simple and sober taste for interiors. 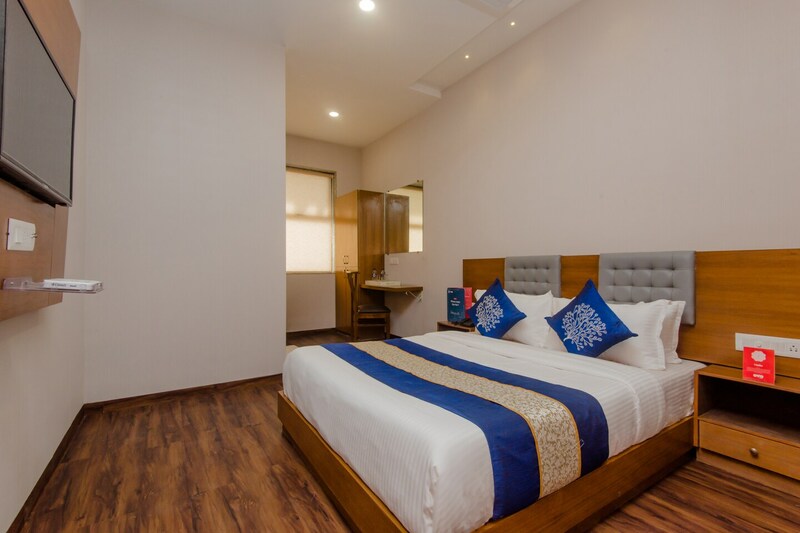 The bedrooms at the hotel are comfortable and warm appearing with light colored walls and light wood furnishings along with overhead lights. The translucent window is a stylish addition to the room. The cushioned headboards add to the comfort of the guests and make the space elegant. Free Wi-Fi is available at the hotel so that the guests can remain connected with the rest of the world. Other amenities offered by the hotel are a conference room, card payment option and laundry services.